I’m going to continue on the subject of fashion, today. 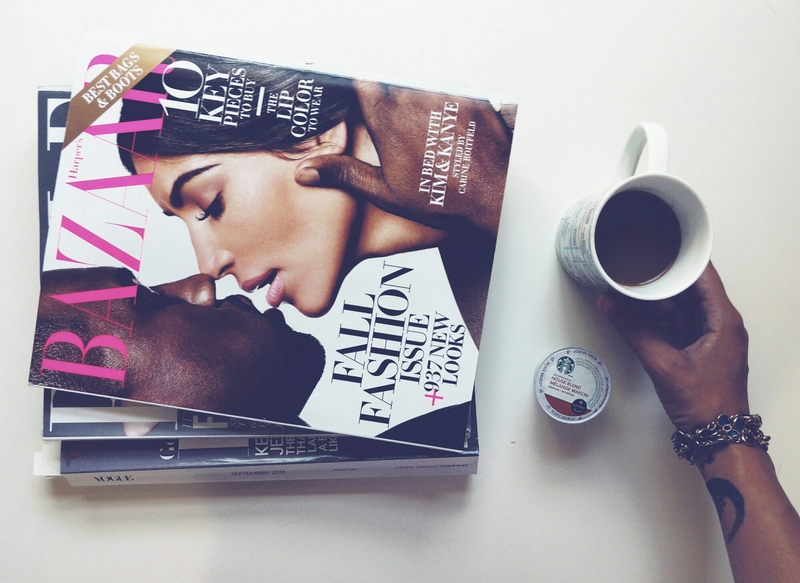 I’ve been reading the coveted September issue of Vogue and I finally made my way through it’s 800 pages! My focus remains on fashion because that’s what Paris is; it is fashion. So this fascination doesn’t stem too far from the dream. Now, Paris is usually ahead of the trends, but as for trend watching in North America, Vogue is basically it. There seems to be a common trend happening in all my September issues of my fashion magazines, but more specifically Vogue. I’d like to mention those trends, and speak to a few of them, just because I feel as though being aware of these Autumn fashion changes brings me a little closer to living a Parisian life, here in Canada. Colour Trends – I noticed a lot of blacks (expected), mustards, golds, reds (so much red, paired with a red lip, too), and dark greens. Who knows what else might emerge! Now, fashion trends are not about going out and purchasing a new wardrobe, but using your simple pieces you already have and reinventing them in a way that works with the trends. But, as Parisians usually do, you can ignore them completely! But Autumn is truly my favourite season for dress, and I’m eagerly awaiting sweater weather! What Autumn trend of 2016 appeals most, to you? Love love love this post! 100% in love with chain bags and oversized knits that are fab for layering. Ah! I can’t wait for it to get a bit cooler so I can get my knit layering on!